A runabout, cabin cruiser, or sailboat that can fit on a trailer opens up a range of opportunities for boaters to sail waterways that are not too distant from a homeport. Pulling a trailer with a boat, however, spawns a raft of new concerns, including towing safety on the road, tow vehicle and trailer maintenance, and safety requirements, not to mention launching and retrieving the boat at a launch ramp. 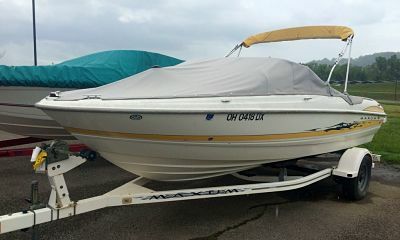 Following some simple safety, operation, and maintenance guidelines for the tow vehicle, the trailer and boat will ensure that a trip to the shore or a different body of water is safe and positive. Trailer towing requires focused driving skills. The basic tips offered below will help get your boat and tow vehicle to a destination safely, without damaging the towing vehicle, the boat, or the trailer. The vehicle and trailer owner manuals for the specific models are the best sources for definitive instructions operation, maintenance, and safety guidelines. The basic equipment for attaching a trailer to a tow vehicle are the ball hitch and coupler. The coupler connects the tow vehicle to the trailer fitting over and locking to the ball hitch. Towing gear also includes safety chains that connect the trailer to the ball hitch assembly to keep the trailer attached to the vehicle should the ball hitch and coupler disengage. An integral part of the trailer is the bow winch, fitted with a nylon strap that secures the bow of the boat to the trailer and used to retrieve the boat from the water. On the stern, ratchet-type straps running from the trailer to the boat’s transom eyes secure the back of the boat. The bow and stern straps are critical equipment that keep the boat squarely on the trailer. Because boat trailers go into the water, they are equipped with special wheel bearings that require constant care and lubrication. In addition, trailer brake and running lights also get a dunking and need attention after every use. Before departing on a trip of any length, make sure that the trailer’s tires, brakes, and light system are in good working order and that wheel bearings are well-lubricated. Boat trailering laws vary somewhat from state to state, but are similar enough so that boaters can cross state lines with a trailed boat generally without too much concern. However, speed limits for vehicles with trailers do vary, as does the maximum overall length. The state laws covering trailer lighting, weight, height, width, registration, and licensing requirements, as well as equipment for tow vehicle attachments and vessel size limitations, are mostly standardized. If planning a trip to more than one state, check for any special specific requirements for states along the travel route. Federal law requires that a trailer have a decal indicating its Gross Trailer Weight Rating (GTW), the total weight a trailer can carry, including the boat, engine, fuel (six pounds/gallon), water (eight pounds/gallon), and gear. As a safety margin, the total should not exceed 85% of the trailer GTW. You should check the trailer GTW and compare that number with the tow vehicle’s towing capacity. If the capacities are close, take steps to lighten the boat’s load, such as removing gear or planning to fuel at the destination. Vehicle Towing Capacity: The total weight capacity of a vehicle and a trailer, called the Gross Combined Weight Rating (GCWR). As the name implies, the rating includes the weight of the vehicle (chassis, body, engine, fluids, accessories, occupants, and cargo), combined with the total weight of the trailer. Checking the trailer weight and comparing it to the GCWR will indicate if the vehicle and trailer are within specified weight limits. If outside the limits, shedding some weight (most easily accomplished by eliminating some boat gear) may be needed. Tongue Weight Capacity: The downward force the trailer tongue (coupler) applies to the tow vehicle ball hitch. An acceptable trailer tongue weight ranges between 9% and 15% of the GTW. If the trailer tongue does not exert enough downward force on the tow vehicle ball hitch, the trailer tongue weight is too light and can cause the trailer to sway. If the tongue weight is too heavy, tow vehicle steering will be affected. Trailer Weight Capacity: the total weight a trailer can carry, including the boat, engine, fuel (six pounds/gallon), water (eight pounds/gallon), and gear, called the GTW. Allow plenty of room ahead, behind, and beside the vehicle/trailer rig. Apply brakes with firm, steady pressure. Make wide turns, as the trailer will cut corners more sharply than the tow vehicle. Allow plenty of distance for getting up to speed; trailer weight dramatically decreases tow vehicle acceleration. If passing a slower vehicle, allow extra distance and initiate the pass on level terrain. Steer straight when stopping. Avoid jackknifing by keeping tow vehicle wheels straight during an emergency stop. About 60% of the boat's weight should be positioned on the trailer’s front half and the remaining 40% on the rear and within limits of the trailer tongue weight capacity. The boat should also be balanced from side to side. If towing for long distances, pull over after about an hour’s drive to double-check all hitch attachments, brakes, tires, boat strapping, and tow vehicle fluids. Getting to a launch ramp with a trailered boat safely can be a challenge, but using the proper equipment and knowing how to drive a boat trailer/vehicle rig can make the trip smooth and trouble-free.